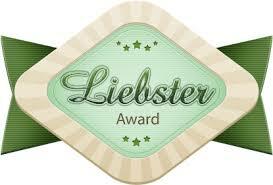 I would like to thank my colleague and fellow blogger, Scott, for nominating me for the Liebster Award. I have enjoyed reading his posts over at Not Quite Home, and am honored he would think of me. This blog has served as an important tool in my spiritual journey and I am very grateful that others would find it useful as well. Reading Scott’s posts and having a “bird’s-eye view” of his spiritual journey through them has been a wonderful blessing! I had been blogging off and on since 2003, but always lost interest. However, shortly before graduating from seminary in 2008, a fellow classmate (and now amazing “outlaw” preacher and blogger), Nadia Bolz-Weber, encouraged me to resume blogging once I had begun full-time ministry. I returned home to West Virginia, took my first full-time appointment as a United Methodist minister, and began blogging. At first the posts were drawn entirely from my experience as a pastor, but as time went on it quickly became more than that. It is now a place for me to record my own spiritual journey, to celebrate, to struggle, and to try to make sense of this crazy thing called faith and life. But it is also a place for me to dive into my own mind and to reflect on the path my life is taking. Because I believe that for people of faith there is no such thing as secular, I tend to find evidence of God everywhere and this blog has given me the chance to explore the non-traditional ways God is revealed. Jennifer Garner. She doesn’t look anything like me (I wish! ), but she is a fellow Kanawha Valley girl and I think she would be the most likely person in Hollywood to be able to understand the impact my Appalachian upbringing and culture have on me. 3. Describe yourself in five words. Jesus-follower. Progressive. Appalachian. Woman. Bibliophile. I can’t say I really have a “bucket list”, specifically. It seems that when I do something that should be on a bucket list, I realize it and rejoice that I won’t have to add it when I get around to making one. 5. What was the best day in your life thus far? There are so many to pick from, and on any given day, I guess I would answer this question differently. But for today, I guess I would say it was the day I stood in front of St. Basil’s Cathedral in Moscow’s Red Square. Words will never be able to express how that moment touched me soul. I was a child of the end of the cold war. Unlike my parents, I never hid under a desk during an air raid, but I do recall how much we despised the “Ruskies” and East Germans. But during my formative adolescent years, the Berlin Wall came down and my favorite musician, Billy Joel, released a song titled “Leningrad” about his own experience in Soviet Russia. Communism collapsed and Russia opened up to the West–and I wanted nothing more than to go see these so-called “enemies” with my own eyes. I knew they weren’t really enemies, of course, but it took meeting them in person to realize just how close we all were. And standing in Red Square, that place I recognized from movies but had always been associated with evil, I realized how much we had all missed out on for so long. I will never forget the transformation my soul underwent that day… and I hope all people can experience it as well (in whatever setting that sparks it). 6. Who was your childhood hero? Oh–this is turning out to be a tougher question than I expected. There are, of course, the standard answers (Dad, Jesus, Princess Leia…) But I guess I will go with Dr. Seuss. Through his whimsical style and verse I learned to love to read and my over-active imagination was given permission to soar. But as I grew, the deeper meaning of his books grew with me. He remains a hero for his philosophies about inspiring young minds to think critically, challenge the status-quo, and his understanding that a great children’s book would offer something fun for the child and a lesson for the adult. I now consider Dr. Seuss not to be just a hero, but also my favorite theologian and the person who taught me all I need to know about social justice (other than Jesus, of course). 7. If you could have any “superpower” what would it be? Flying. I would fly. I might not ever touch the ground again. And I would get a cool red cape like Superman, because if I could fly, why the heck not? Leave me alone. I like the mornings, but I like them quiet. I’m an introvert, so the last thing I need is to begin the day with someone draining all my energy right off the bat. Let me acclimate a bit to the new day, dwell on last night’s unfinished thoughts, and maybe brush my teeth. Then I’ll have time for you. And coffee, too. 9. Who is your closest family member (not living in your house) and why are you so close? Hard to narrow it down to just one–any one of my immediate relatives would be a good answer to this (mother, father, brother, sister), but I guess I would have to say my mother. If I was in a jam and needed immediate help, she’s the one I would call first. If there was a tragedy and I needed a shoulder to lean on, she’d be my first pick. Anyone can be close and loving during all the good times, but the people we turn to in the hard times are the ones who have the deepest impact on our lives. 10. Describe the perfect vacation for you? A cabin in any quiet, peaceful, nature-oriented place. It can be in the mountains, on the plains, or on the beach–mostly what I crave when I take a vacation is the time to catch up on sleep, have plenty alone time (give me my own room, please) and just enjoy the majesty of God’s creation. And provide a list of 10 questions for the new nominees to answer. If you could write one post that went viral, what would you want it to be about? Do you believe one person can change the world?